THIS year marks the 50th anniversary of the 1967 Referendum that removed two references in the Australian Constitution discriminating against Aboriginal people. 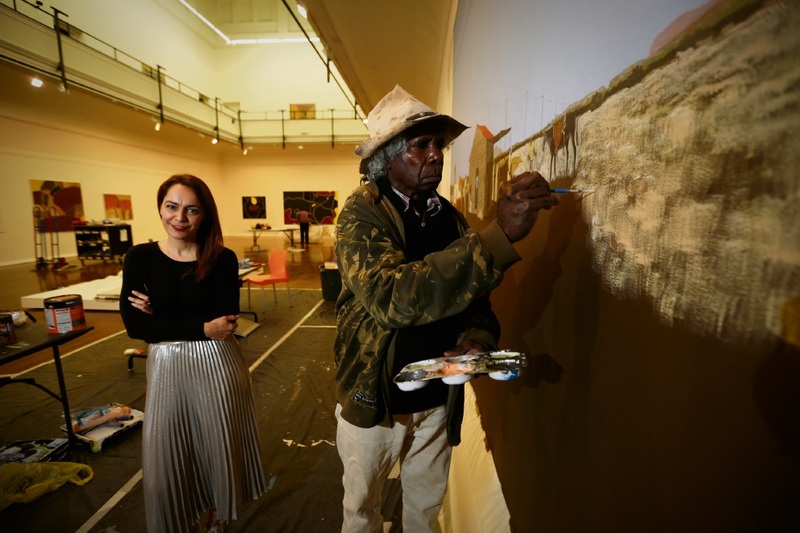 Noongar woman and visual arts curator Clothilde Bullen, former Art Gallery of WA Indigenous Art curator and now at the Museum of Contemporary Art in Sydney, decided her hometown of Perth should mark the significant event with an exhibition. When the Sky Fell is a collaboration between PICA and Aboriginal Art Centre Hub of WA, curated by Bullen and featuring 70 works of every medium. “There’s installation, sculptures, works on canvas, a lot of ochre, found objects, satellite dishes and sand animation video work,” Bullen said. Bullen said the exhibition’s title was inspired by the story of Chicken Little who ran around telling people “The sky is falling” and nothing happened. “When I was talking to artists and communities, they were all saying it was a hugely symbolic event, but there were some really negative things that came out of it, some positive things and a lot of people said it didn’t affect their lives at a grassroots level,” she said. “Lots of people just got on with their lives, still maintaining a connection to country and culture, despite whatever prevailing government policy was happening at the time. “Each community has their own identity and own sense of what happened after the referendum and the consequences of that for them. Bullen said she felt privileged to give these artists a voice and despite curating the exhibition, she had worked closely with the artists and communities to ensure what they wanted to say was evident in the exhibition space. “I love what I do and it’s wonderful to work with PICA,” she said.